Lucille Dorothy King, 90, of Holland, OH, went to be with the Lord, Saturday, January 19, 2019, at Regency Hospital. 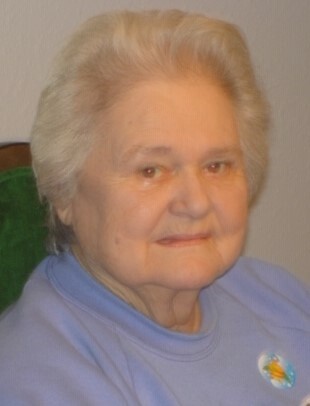 She was born February 13, 1928 in Toledo, to parents George and Cora (Balcerzak) Abramczyk. Lucille enjoyed playing Bunco, Bingo, and Scrabble. She liked gardening and cooking, but her greatest joy in life was spending time with her children and grandchildren. Lucille is survived by her children Larry King, Sharon (Jessie) Slusher, Michael (Wanda), and Wayne King; grandchildren Jerry and Jeffrey (Jami) Slusher, Sheri (Caine) Kolinski, Jennifer, Michael (Torry), and James King, and Jessica (Joey) Morris; 19 great-grandchildren; 1 great great-grandchild, with one on the way; and brother Gervis Abramczyk; sister in laws Gladys and Francis Abramczyk. Lucille was preceded in death by her parents; husband Junior “Red” King with whom she had been married 60 years when he passed in 2006; brothers Floyd, Daniel, and Virgil Abramczyk; great-granddaughter Faith Slusher; and sister in law Wanda Abramczyk. Friends may call at the Reeb Funeral Home, 5712 Main St. Sylvania, OH, Wednesday January 23rd from 4 – 9 PM, where Funeral Services will be held Thursday the 24th at 11 AM. Lucille will be laid to rest beside Red at Toledo Memorial Park.